Optional - Integrates with you iPhone, iTouch, Pad. and similar Android devices! 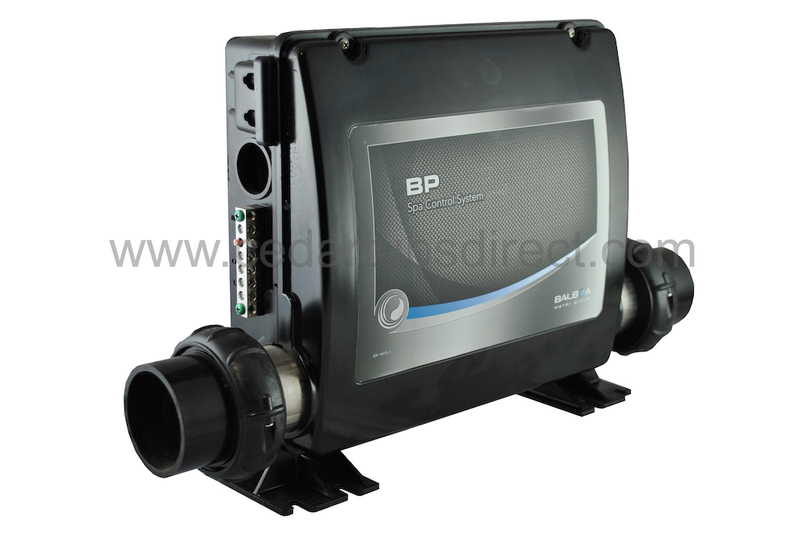 The BP Series The BP Series is a newly designed and improved plat form that focuses on reliability. The BP2000 uses a more advance carbon bases casing that is highly flame retardant and impact resistant. 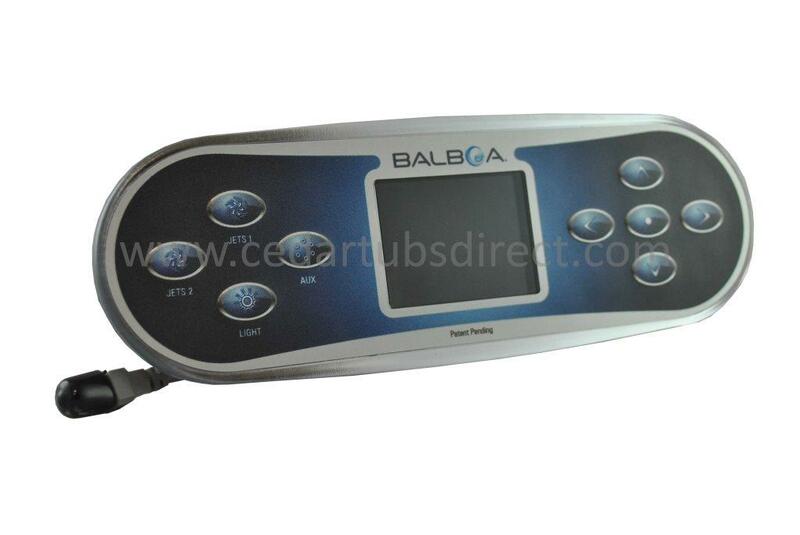 New Features such as quick disconnect heater elements, Wi-Fi Ready, and Press and Hold topside navigation buttons. 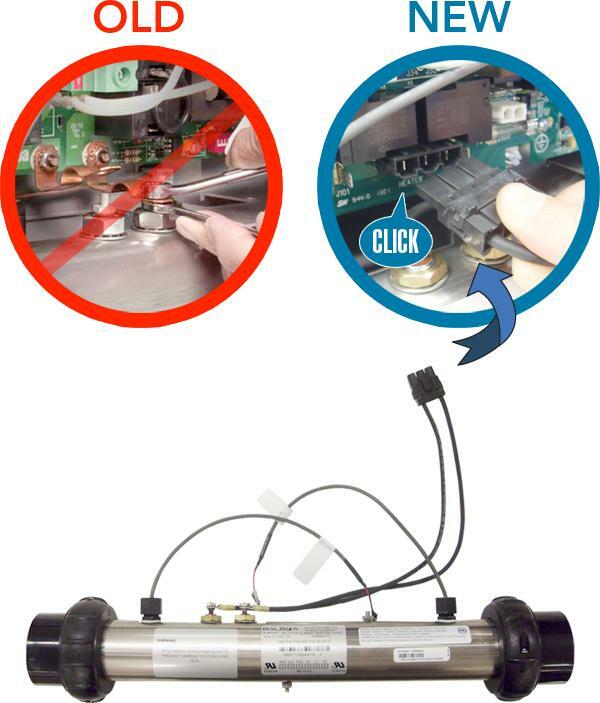 This is a high end retrofit kit suitable for tubs with multiple pumps (up to 5) and is designed to replace an older spa pack from from Balboa or other manufactures hot tub control system such as Gecko, Colman, Hydro Quip, Spa Guts, Arctic Spa, LA Spas, Beach Comber, Sundance, Emerald Spas, Maxx Spa, Hydro Spa, Hot Spring to name a few. The retrofit kit comes complete with the TP600 digital top side controller (TP800 is optional), and a set of cables and adapters (3x 4-wire for 2-spd pumps, 3 x 3-wire for 1-spd pumps and 1 x 2-wire light assembly). 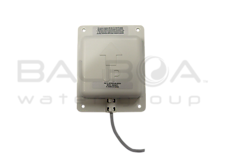 Detailed retrofit instructions are also included so that a spa owner with some electrical servicing knowledge can quickly change over to this equipment by BALBOA the world leader in Spa Heaters. 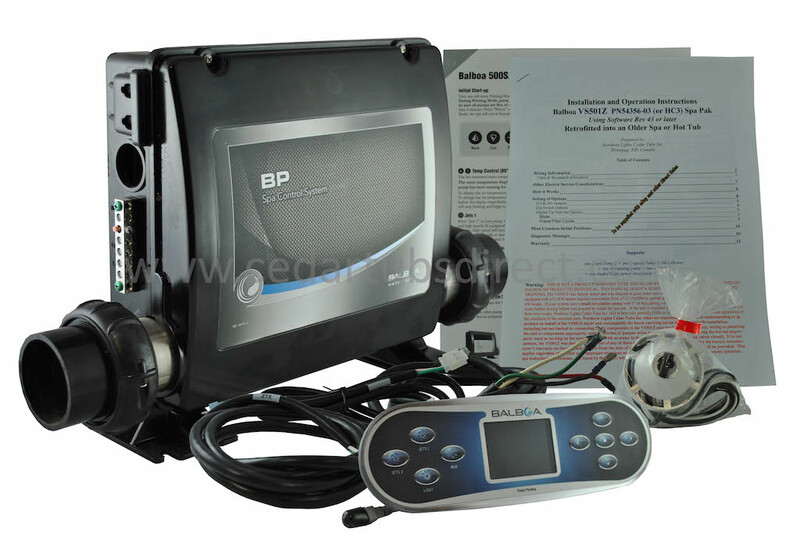 The BP Series uses M7 Technologywhich is simply the best spa pack technology on the market. Completely digital circuitry means less failure, more accurate heating range (+/- 1 degree F). And it now includes both a high range (80-104F) and a low range (50-99 F) operation. The Patented M7 Technologyremoves the need for pressure sensors and remote heat sensors common on other older spa packs. This unique technology allows the spa pack to be positioned in any location or direction (before or after the pump or before or after the filter). Although this spa pack can work at 120 VAC in which case it will produce 1.5 Kw of heat, it is primarily expected that it will be used at 230 VAC (requiring 40-60AMP service) and will produce 5.5 kW of heat. One or more auxiliary heater, each producing 4.0 kW or 5.5kW can be slaved to the unit if more power is required. 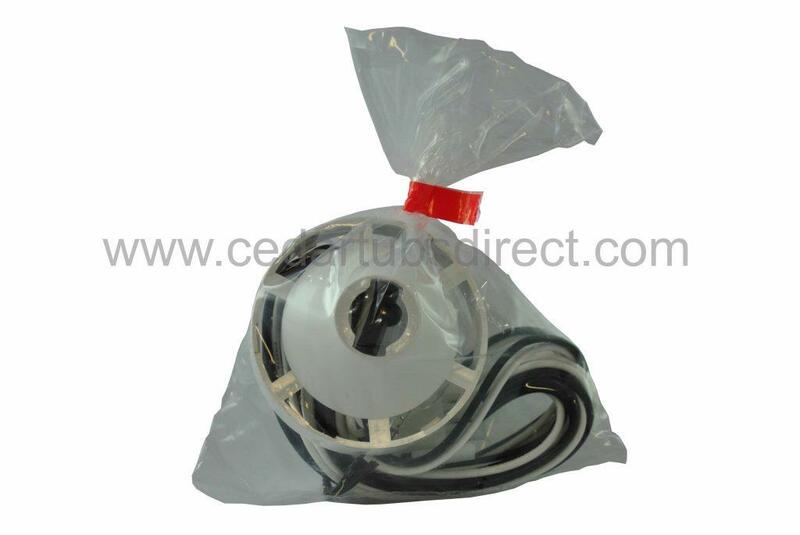 Its union tail pieces (included) fit standard 2" piping or with reducers can be easily adapted to 1.5". Includes: 3x4-wire 2-spd pump cables, 3 x 3-wire cables, 1x 12v light wire kit, 1 x BPX2 cable adapter kit, 1 x spare male AMP plug with pins. Includes: Detailed instruction manual for installation to replace another brand of Spa Heater. 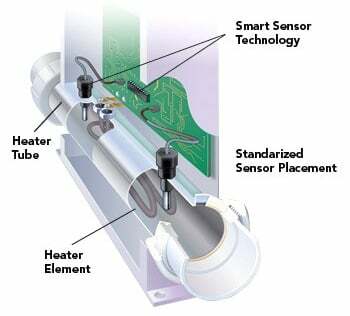 The flow through heater tube must be a minimum of 20 USGPM if the heater is 5.5 kW. 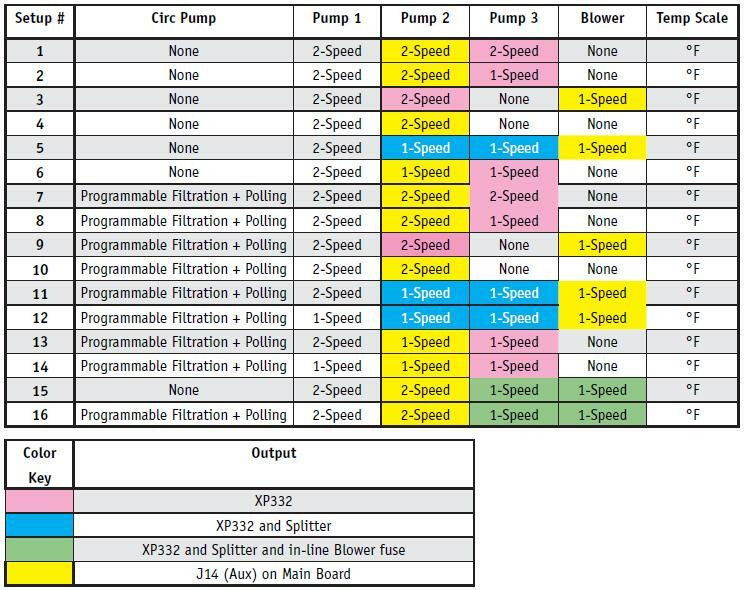 This flow rate should be checked if your spa uses a small circulation pump such a Laing E14 or others made by Grundfos or Waterway Mighty-Might. These small pumps when used with 1 piping typically cannot produce this flow. A 3kW heater element is available which reduces flow requirement to 13 USGPM, call us! Can only handle maximum of 4 pumps or 3 pumps plus blower excluding the circulation pump if used. MADE IN AMERICA not China! PN# 50261 TP800 Topside Controller with Jets1, Jets2, Aux, Warm, Light, Cool control buttons (TP600 optional). Our on-staff engineer means you get much more than just a quality product when you buy from us. Our engineer will help you before your purchase as well as during installation and will always be there for ongoing support afterwards, FREE OF CHARGE! Call us or email us and you will quickly see our difference! No taxes to US residence! Please allow 4-6 days for shipping via UPS Ground to USA or Canada. You will be emailed a tracking number to the email address you provide us. Expedited Shipping services are available! Your #1 Hot Tub Parts Replacement Store!